Slow growing evergreen tree. 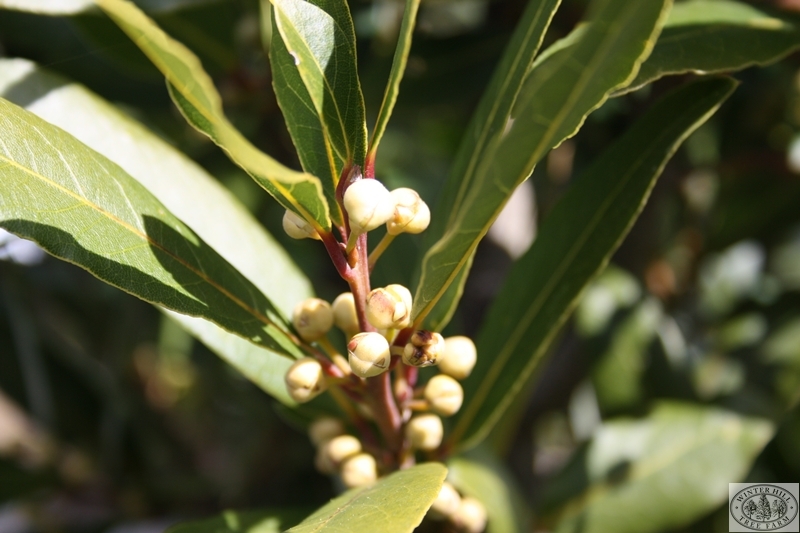 Thick glossy leaves have an aromatic fragrance, and female trees produce shining purple-black berries. Bay leaves are used for cooking. Very suitable for clipped tub specimens. We are growing these as both a hedging plant and a standard. Prefers rich, well-drained soil in full sun.